CTA Title facilitates and streamlines real estate transactions by providing comprehensive title insurance protection and professional settlement services. CTA Title helps homebuyers and sellers, real estate agents and brokers, mortgage lenders, commercial property professionals, homebuilders and developers, title agencies and legal professionals close transactions. Find out more about our products and services, and how First CTA Title can help you streamline your transaction and protect your investment. A real estate transaction can be a complicated and overwhelming process—let us simplify it for you. With our comprehensive list of title services, we can facilitate any transaction. 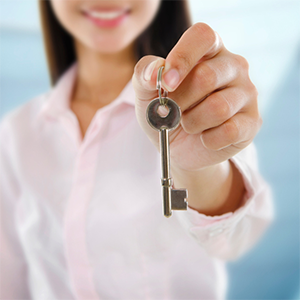 Our professionals will handle your title and escrow needs with efficiency, enthusiasm and precision. CTA Title is big enough to know and small enough to care. Put your trust and your future in our hands. CTATitle has over 25 years of experience in the title and escrow industries. In that time we have earned a reputation as the title escrow service that real estate buyers and real estate sellers can rely on for a fast, accurate closing. We have the community connections and the experience to represent both buyers and seller of real estate so everyone walks away confident that they have made the right choice. Call for unbeatable title assistance today!